You mean a rich needle? Yes, a little bit but it does not solve the problem completely. I like to say the same than Mr. Goddard, but didn't find the right words. The problem is, that synthetic fuel burns completly. The section between bal and socket (piston/con rod) has no bearings. 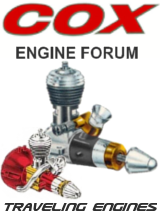 Normally castor based oil is recomended for cox engines. This has a sense: castor oil does not burn completely, therefore the bal socket and piston is allways lubed, which is with synthetic oils not the case and than happens what Mr. Goddard wrote. If you would like to do something good for your engine, add a little bit castor oil from the parmacy, there is a mixing excel advisory somewhere here or visit the website of Cox Engines International (there are some tipps for fuel). Castor Oil compounds very good with normal available fuel and the piston will last longer. Not many people call me Mister. This morning i partly disassembled the engine. Looking good overall, head glows fine. No more work to do. 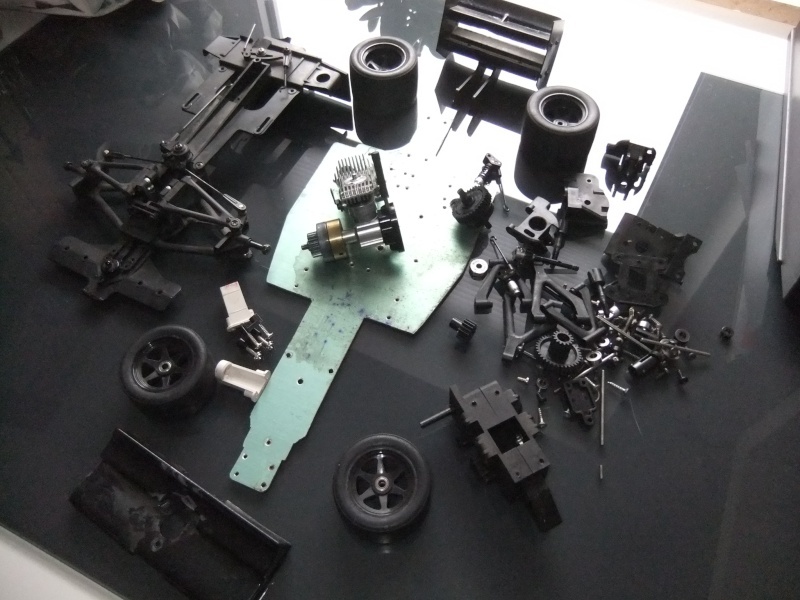 I think I can re assemble everything now. Yes that could be, but the manual says 4 screws in total. coxaddicted wrote: Yes that could be, but the manual says 4 screws in total. 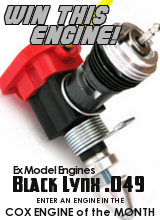 I have recently purchased some engines like Tee Dee's a Pee Wee and a Black Widow. 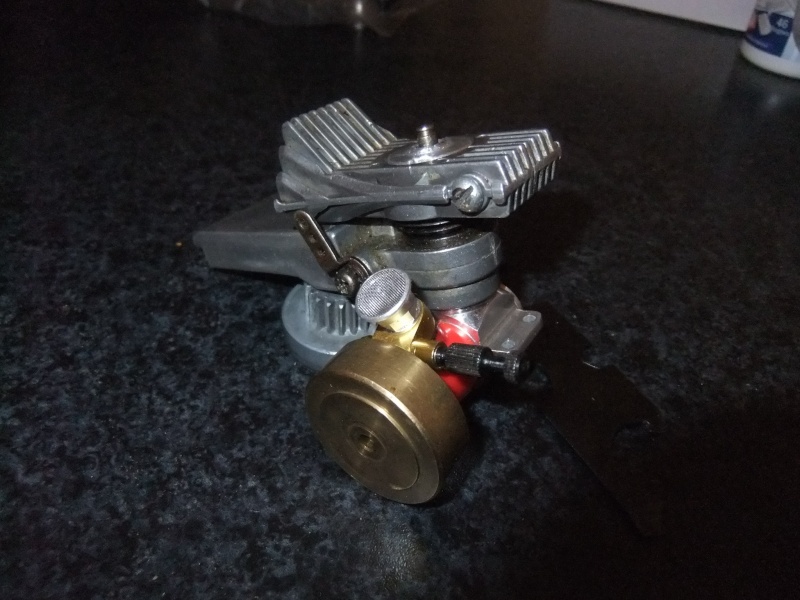 I am thinking of converting a Tee Dee 0.49 for my Kyosho Cox (The one I bought in parts). Thanks Ado, I have already seen this nice carbs. But I would like to use the Original Kyosho-Cox muffler. 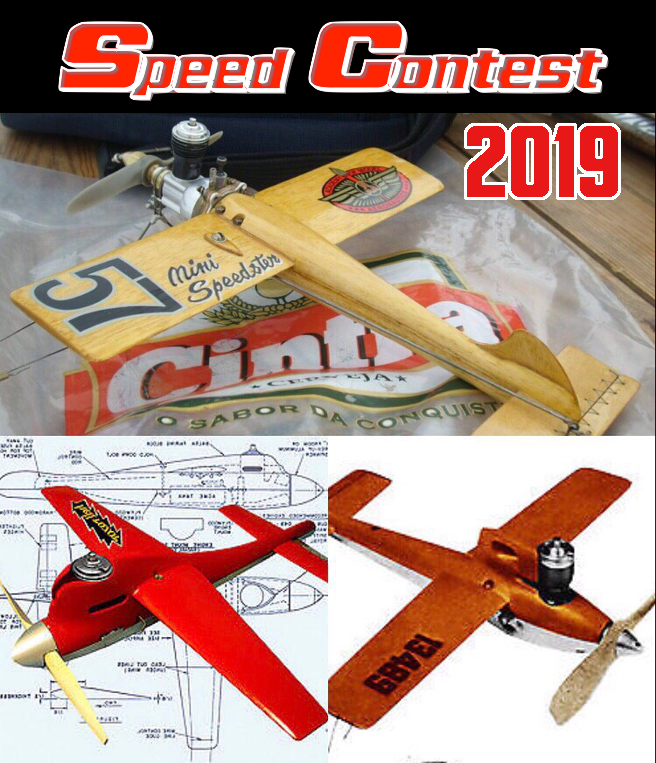 It is running on the bee- type engines without any complain (except oil pollution ) It is just an idea and I do not know yet if it will work. I also ordered some parts for the stocker (my push-rod was broken). 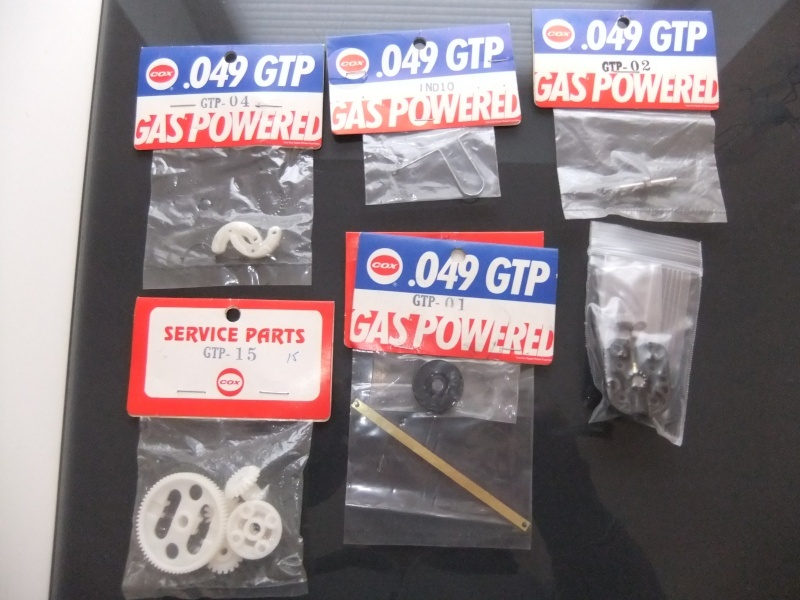 Now I have enough spare parts and I hope I can run it when the weather gets better (I will try to make a video, did not seen a cox gtp running yet). That TD looks great as a car engine! I hope you can get it working, would love to see it running. MeerschaumSteve wrote: That TD looks great as a car engine! But I had a nice letter in my postbox today! Hope that the weather here in germany is going better now to test your car. 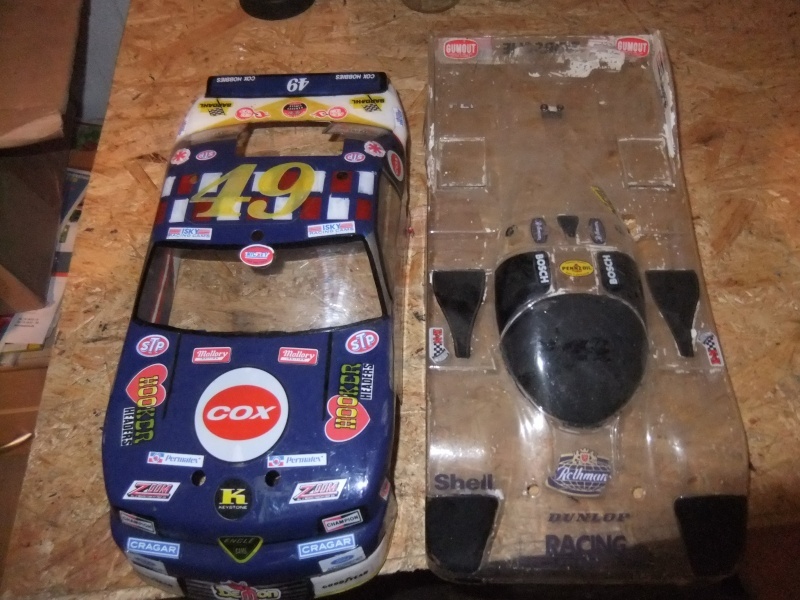 Regarding the other projects: I found a spare body for the cox stocker which should almost fit on the chassis. It is a Porsche 962c (I think from academy models, 80'ies), the wheelbase is fine, also the gauge. 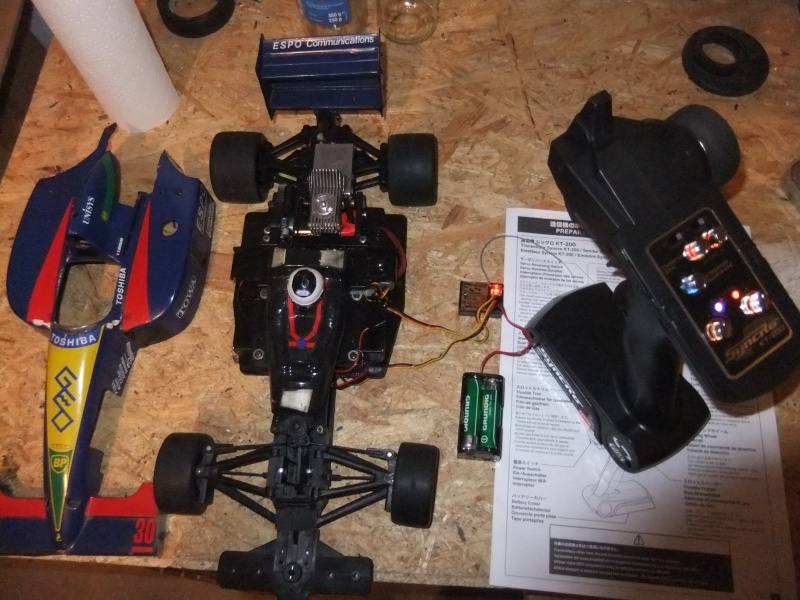 I also started to do some TLC on the Espo Larousse, it is getting a new receiver/transmitter (Kyosho KT 200 2.4GHZ) today because I needed the old one for the traxxas slash (same type of radio). Yesterday I mounted new front tyres and rims. 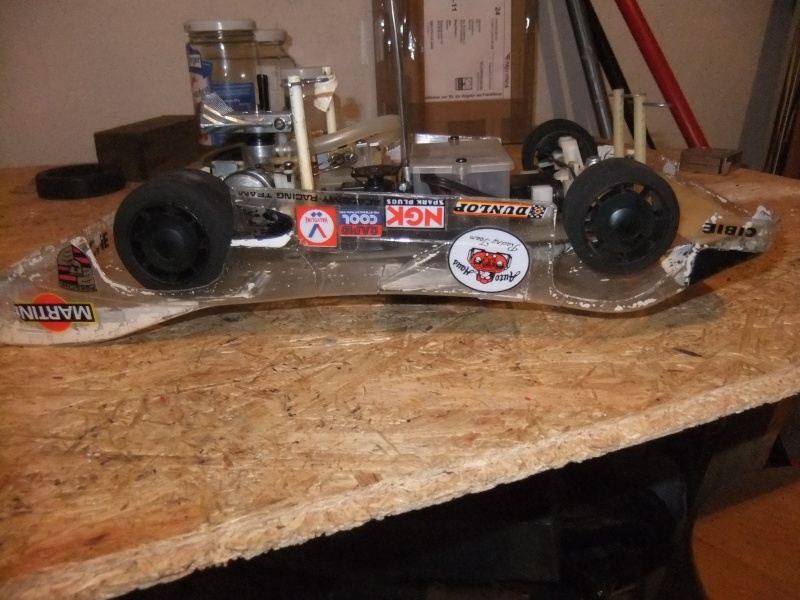 It also got full ball bearing on the front wheels in order to get a little bit more performance. I will mount also newly rear wheels but I have to glue the tyres on the rims first. The old rims had some dents. 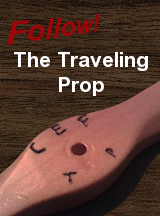 I also recover the driver figure, so it is even looking more realistic . After a very hard season last year (I blowed more than 1 litre=1quart trough this car which means over 60 full fuel tanks in 4 months) the body need also some work. 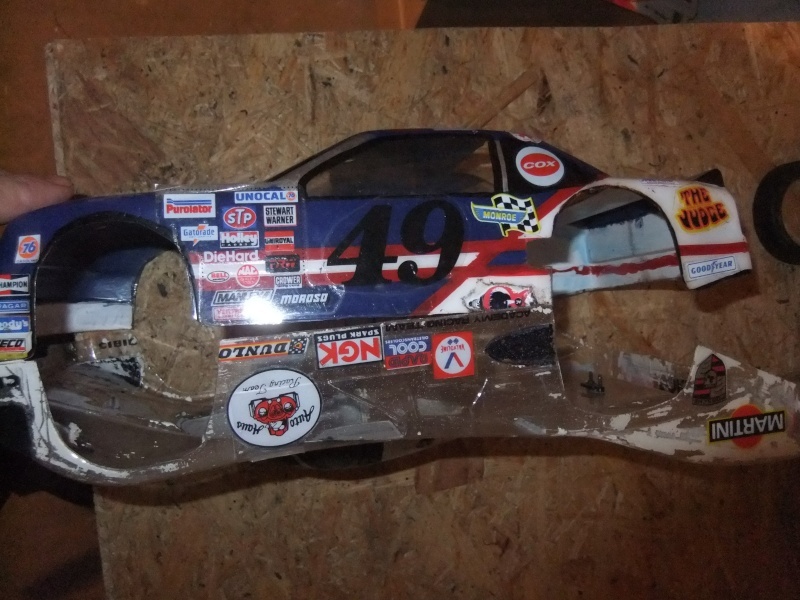 I have to fix the lexan body on some positions. Regarding the engine: I ran about 3-4 litres trough the engine in total now. It has still good compression and is running fine. Hope that the snow go away very quickly. Would test my throttle and see your car running. The fail safe is set, waiting for better weather now. Lookin good man! Hope you make a video of it running with the new setup. I'm also very curious about how well the KB backplate works with the throttle and the car. That's an upgrade I'm considering for my GTP. MeerschaumSteve wrote: Lookin good man! Hope you make a video of it running with the new setup. Yes, I think the cylinder could ,,digest'' more fuel. I will have to fit a nylonstocking as an air filter because the kb backplate is screenless. I am also thinking about to remove the base of the slitted exhaust ports for more exhaust timing (no time yet due to other projects). I hope the crank is happy with some more revs. But in overall the engine is still the one I purchased in 1993 with the car and is very reliable. Yesterday, i tried to start the updated engine. Sadly, it does not start properly. It smells like burned fuel and the engine runned a couple of rounds but died quickly. Any ideas ? No air in the fuel line, Glow plug is good battery too.